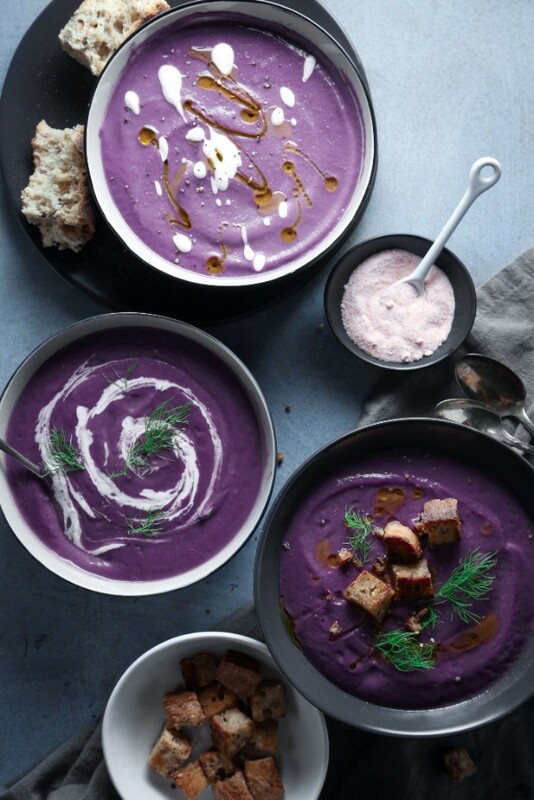 Serve with crusty sourdough bread! 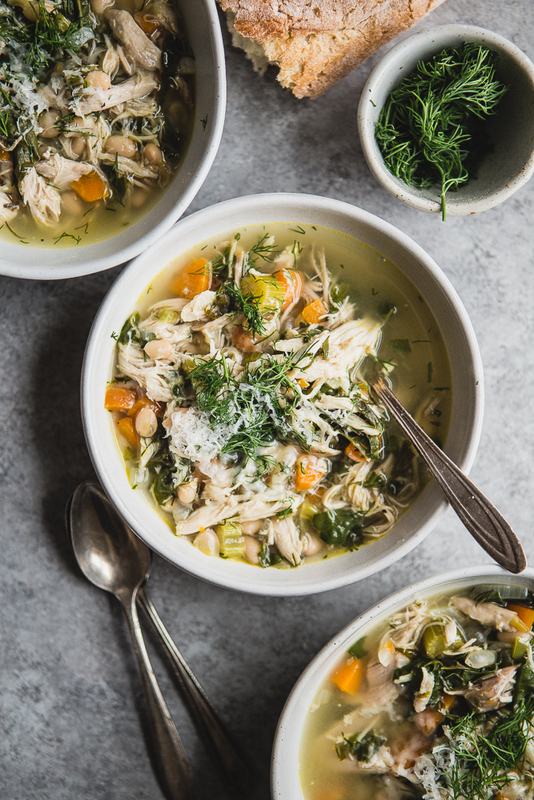 Ditch a classic chicken noodle and give this hearty soup a try. 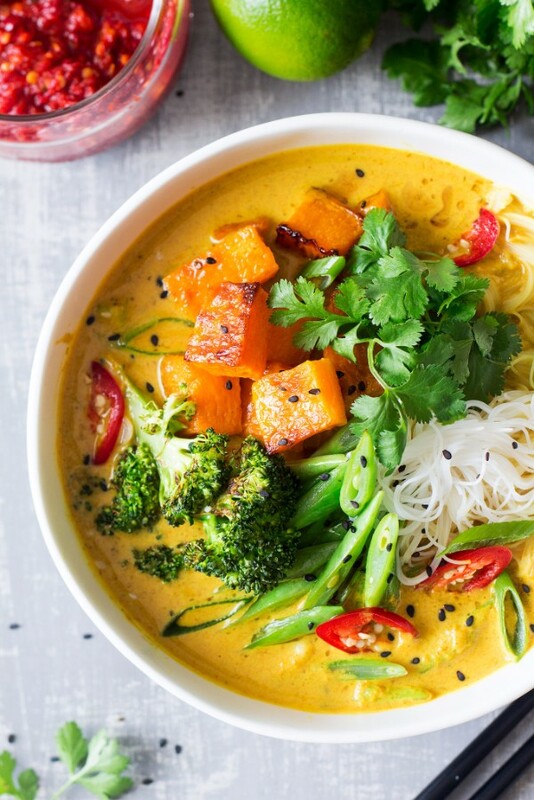 Spiced with red hot chillies, curry, ginger and lemongrass, this soup is vegan, but you'd never know it! 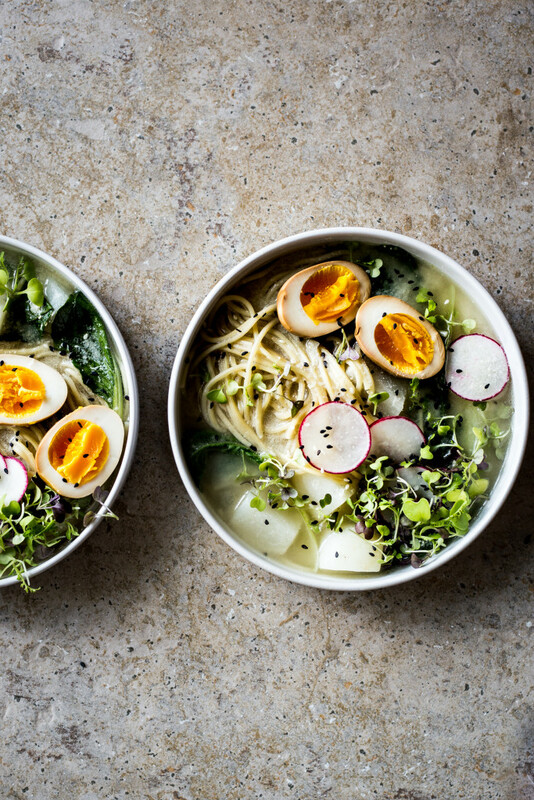 Homemade ramen? This recipe is easier than you think! Plan to start the eggs 3 hours before you'd like to serve. 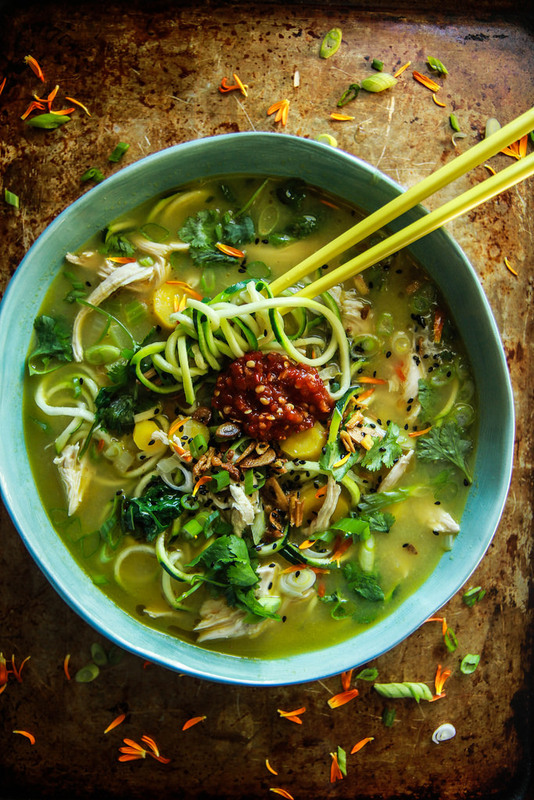 A clever way to serve zucchini noodles! 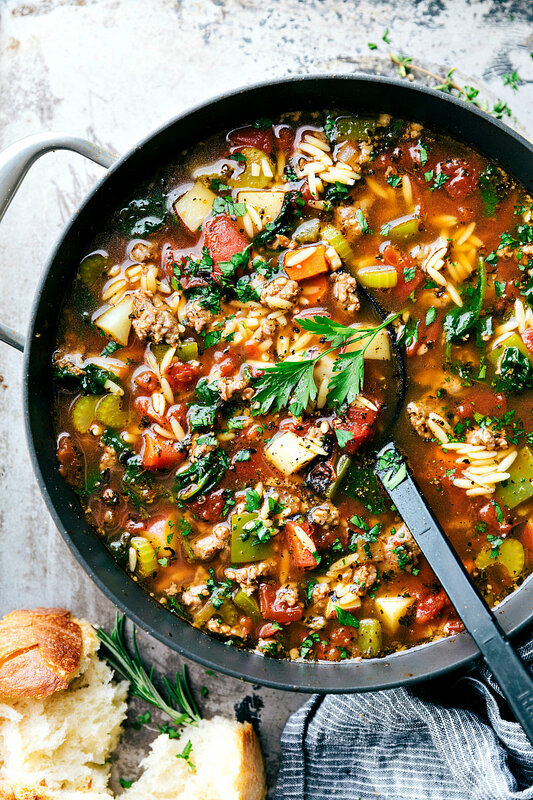 Yep, Here are 50 more Gluten Free Dinner Recipes For You! Intrigued? “It has a rich, almost winey flavor but is denser and drier than regular sweet potatoes,” writes the LA Times’s David Karp. 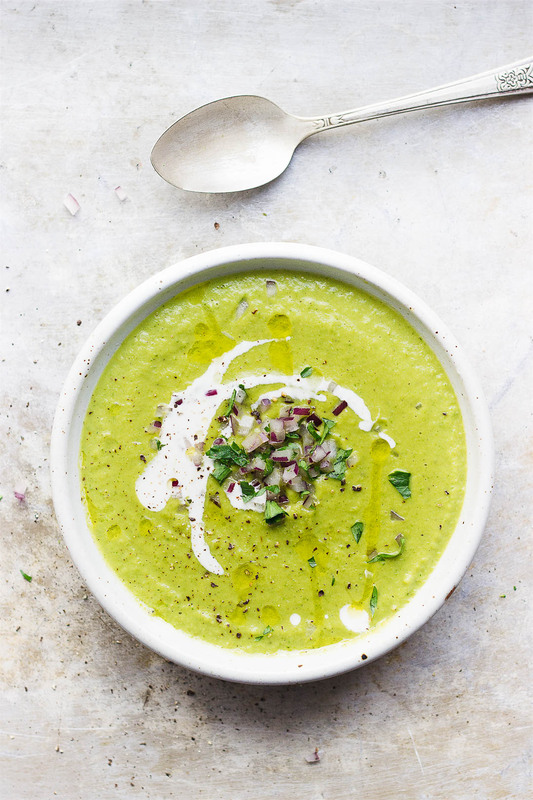 The white beans and garlicky yogurt make this soup something special! Love Broccoli? Yes, then head over here for more recipes! 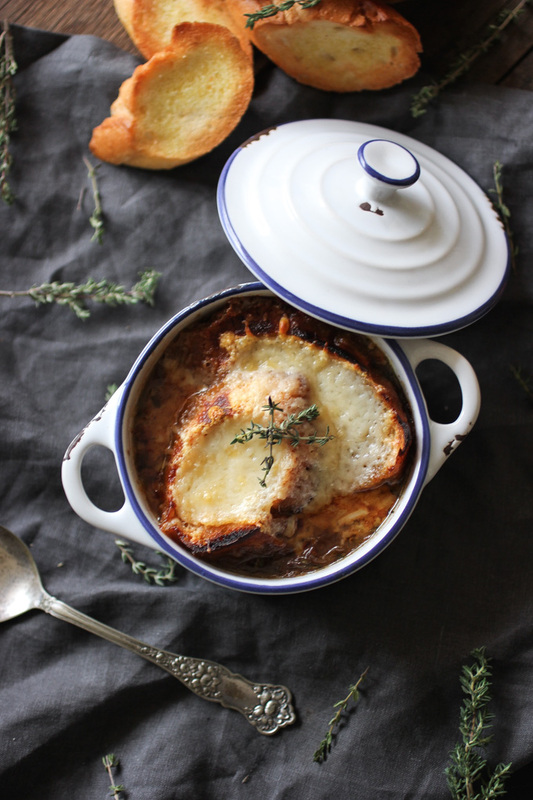 The ultimate comfort soup - the cheesier the better! 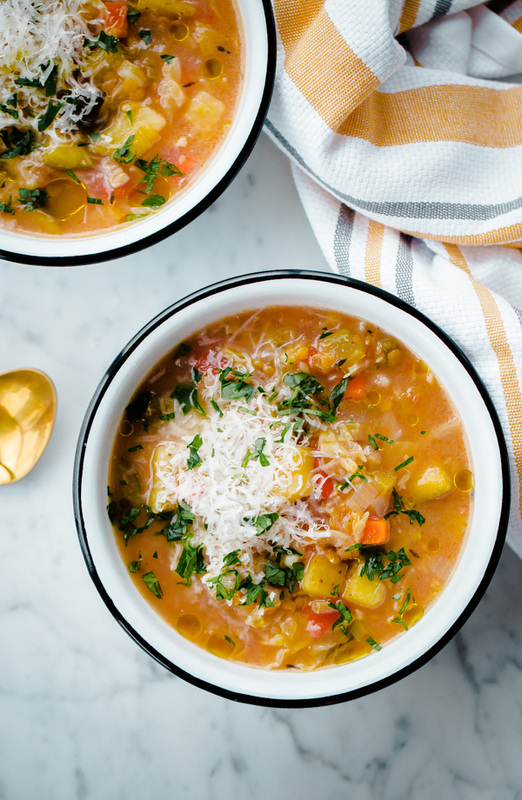 Prep the night before, start the slow cooker on your way out the door, and come home to lentil soup perfection. 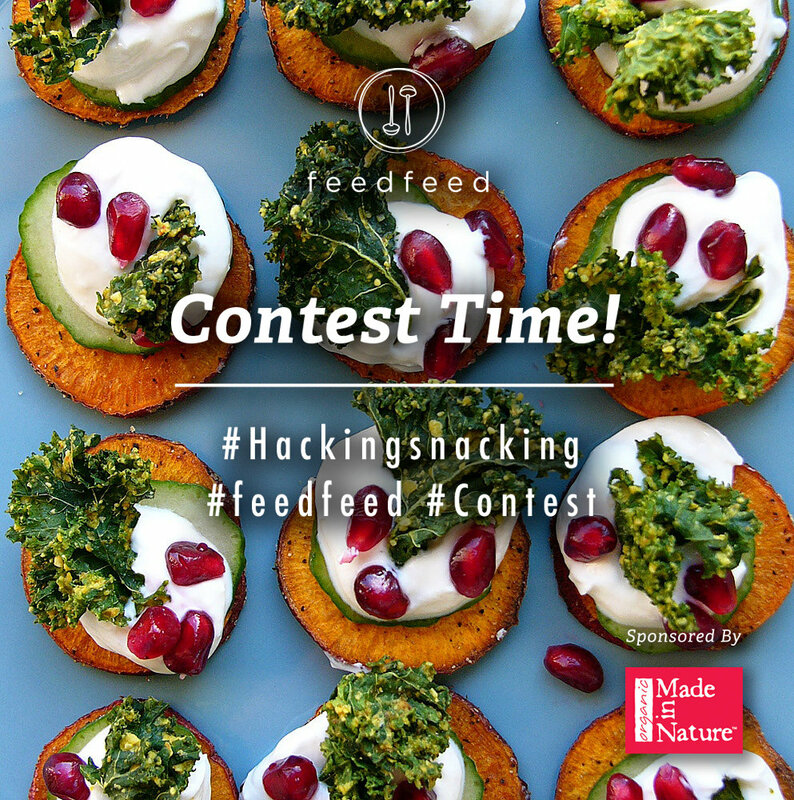 Click here for more details on the Healthy New Year Contest we are running with Made In Nature.